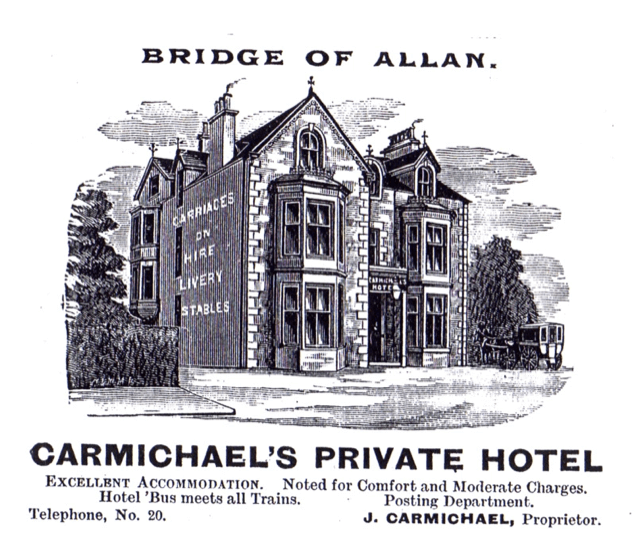 We were kindly sent this image recently of the former Carmichael’s Hotel which we have converted to six apartments in Henderson Street, Bridge of Allan. It is a fantastic building and was a great project. We’re not sure exactly when this is image is dated from, but judging from the horse and cart with the stables it definitely was a significant time ago!! There is always an element of the unknown when transforming a building and it’s fascinating to uncover an insight into what a building used to be or how it was used.